Add some warmth to your space with the Konwin Mini Oil Heater! 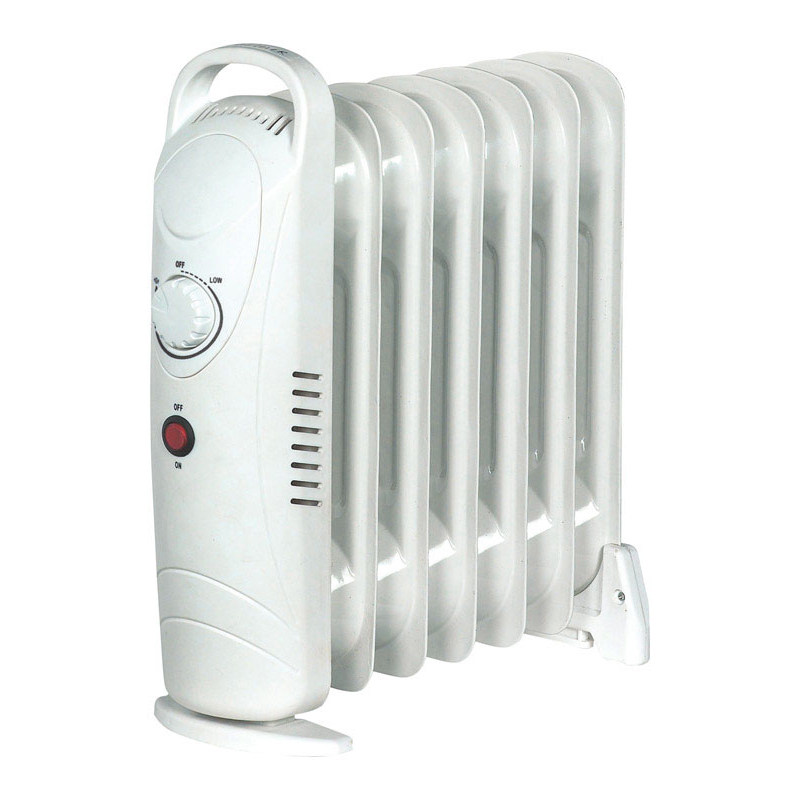 This 12-inch heater has an adjustable thermostat dial to change the temperature to your preference. Seven fins provide 700 watts of heating power to efficiently heat a small room. Engineered with overheat protection and an automatic tip-over off switch, you can safely relax in your home with a peace of mind. The unobtrusive mini style allows the heater to fit seamlessly in any décor.